Ramiel Nagel the author of Cure Tooth Decay, stopped by to discuss, how we can reverse cavities and remineralize our teeth using diet. If your dentist is recommending getting a root canal, or extracting your wisdom teeth you have to listen to this interview. There are options to heal the gums, and teeth. Our oral and dental health is a reflection of what’s going on inside our bodies. Did you know that cancers, heart attacks and other diseases have been linked to rotting teeth? Gingivitis, gum disease, cavities are neither natural nor normal. We shouldn’t need braces, retainers or head gear to keep our teeth straight. Rami Nagel discusses natural approaches to all of these issues. Is there one right diet for humankind? Rami Nagel discusses the most effective ways to cure tooth decay and remineralize your teeth naturally – Click to tweet this! Guest Info: Ramiel Nagel is an internationally recognized author, writer and speaker on the subject of health. Ramiel’s background includes a bachelor’s degree from the University of California. He has extensive training as an awareness facilitator, and is an avid yoga practitioner. Ramiel rediscovered the lost cure for tooth cavities when searching for the cause and solution of his daughter’s tooth decay. Ramiel is now helping create a world free from dental disease. JUSTIN: Thank you so much everybody for joining us today. I really hope you’re having a great day out there. Today is Monday, October 15, 2012. We’re currently broadcasting worldwide from Southern California, so thank you so much for joining us. We are currently doing about three shows a week, on Monday, Wednesday and Friday. This is episode #22 and you can find it at extremehealthradio.com/22. I’m really excited about today’s guest, Ramiel Nagel and I’ll be introducing him in just a moment. I want to talk, just a little bit, about our upcoming show schedule and to tell you about the next three guests we have. Our next guest is Dr. David Steenblock on Wednesday 17th. 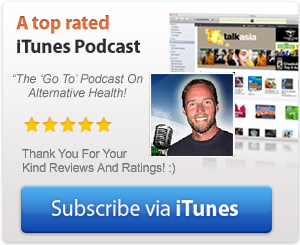 He is doing a lot of great work with ozone therapy, chelation therapy, blood nutrient therapy and all kinds of work with cancer, strokes and Parkinson’s disease, so tune into that show if you can. It’s going to be a really good show. Then we’ve got Marty Gallagher on Friday and he’s going to be talking about fitness and exercise, kind of educating us on how all of his training methods work. Then we’ve got Magda Havas, who is a researcher and author, I believe, in the area of electromagnetic radiation. That’s going to be an interesting show to say the least. I just want to let you know that today’s show, we have been advertising this product quite a bit, is brought to you by the Vitamix blender. If you are in the market for a Vitamix blender, please consider buying it through us and we will get a little commission. That would help our efforts as well. You can check that out at extremehealthradio.com/vitamix. Those things are absolutely incredible and I highly encourage you to get one. Today’s guest is Ramiel Nagel and he is an internationally recognized author, writer and speaker on the subject of health. His background includes a Bachelor’s Degree from the University of California and he has extensive training as an awareness facilitator and is an avid yoga practitioner. He discovered the lost cure for tooth cavities when searching for the cause and solution for his daughter’s tooth decay. He is now helping to create a world free of dental disease. Thank you so much Ramiel for being on the show today. RAMIEL: Thanks for having me. JUSTIN: I have been thumbing through your book and it’s been quite fascinating to say the least. You actually got started with tooth decay and cavities from your daughter. RAMIEL: That’s right. When she was a little over the age of 1, we noticed a little spot on her teeth and then we kept an eye on it, as we didn’t really know much about what that meant. We thought maybe it was a little cavity and then it became a brown spot and then that tooth crumbled apart when she was about a year and a half. As parents, we were very concerned and we called many dentists to see what treatments they had and it didn’t sound right for treatments for little kids. And of course, we got the normal recommendations of don’t breast feed and things like that. JUSTIN: At that time, were you nutritionally aware, am sure you were, but were you as aware to know that things like not breast feeding would not be good for your daughter. RAMIEL: I thought we were eating healthy. We were eating organic food and she was breast feeding and we didn’t give her any processed sugar or flour, so I thought we were doing a good job for diet. JUSTIN: Wow, do you think it was more a result of things you were giving her or things you weren’t giving her? RAMIEL: That’s a good question. After doing a lot of research, the real issue has to do with, and this is a very important thing that most people in our culture don’t know, that the health of our children begins before conception. It has to do significantly with the nutrient and biochemical balance of the parent. My partner was a vegetarian mostly and although both of us were eating organic foods, we were eating a lot of sugar, organic sugar, but lots of sweet kind of foods and not enough protein and fat, and just a lot of carbs that were not high quality. So, my partner was probably low on calcium or low on vitamin-D. So, during preconception and pregnancy and then after birth, my daughter was deficient in calcium and probably other minerals. Her system probably didn’t absorb that as well. And then, she was getting a lot of breast milk and the breast milk was probably low on calcium or other minerals. That sort of set the stage for tooth cavities. A large percent of children are born with teeth that aren’t perfectly formed. If you look at them under a microscope you can see little imperfections and imperfect teeth became much quicker than perfect teeth. When you have that matrix set up of weakness or deficiencies, then what she eats matters a lot more. JUSTIN: Do you think that, let’s say, you were talking about preconception and things like that. Let’s say our ancestors were meant to eat one thing and they were eating something else, there’s a lot of debate about what they should have been eating. But, let’s say they were eating one thing but they should have been eating something else, so you could say their genetics were weakened to some degree. If that were the case, how much do you think it’s possible to undo that for a couple of years if you really prepare for a child and try to eat right? Do you think it’s possible to sort of unwind the genetic dietary sins? RAMIEL: Overall, it’s pretty amazing what we can do, like different parents are given levels of success, depending on how many generations of a lot of the foods they have and how far they go towards improving their health and how much they are exercising and what particular food they’re eating. I have seen amazing things, just the difference between my two daughters. With the second daughter, we were eating much better before conception, although our systems weren’t totally healthy, we were eating a lot of the right foods. Her head is bigger and her body proportions are completely different. Her energy level is different and her immunity to illness is extremely high. Pretty much, other than having eaten one or two bad things almost, she has never been sick and she’s 4-1/2 years old. She sleeps well and eats well and kind of has a very strong constitution. Her body looks strong. JUSTIN: How much do you think diet is a factor for father’s versus a mother during pregnancy, and maybe preconception as well? RAMIEL: Diet is a huge factor. There is either illness from deficiency or toxins, illness from not enough or illness from poisons. The father, before conception, makes a huge impact. Weston Price showed, in some of the studies he presents in his book, that a vitamin deficient father produced birth defects, with a healthy mother, with dogs. RAMIEL: Yes, so if even one of the parents is really healthy, vibrant and eating well. Even if they’re not eating well, but if they ate well in the past and have a good constitution, like a lot of people whose parents are from other countries, have that, the child is unbelievably much healthier, more robust and more immune to disease. JUSTIN: The reason why I asked is because a lot of people think that diet is only important for the mother and that the father can get away with whatever he wants to eat. RAMIEL: Not only with what he wants to eat, but in particular how much toxins are in his body, is very important. If he’s drinking a lot of alcohol or other substances near the time of conception, it makes an unbelievable difference, because that snapshot in time becomes half of the child. I bring this information forward in my other book ‘Healing Our Children’. JUSTIN: Interesting. So, do you sometimes feel like you just want to shake the world and say ‘listen, these tooth problems are so much bigger than anyone ever even realizes? I’m sure you want people to wake up and understand the level to which these teeth issues effect our health. RAMIEL: I think it’s just a really good point, well, I would reframe it a little bit. The first health problems people have are an indication that there is an imbalance in their bodies. It shows up in their teeth or in their gums, depending on their individual biochemical makeup. If we took that opportunity to go ‘hey, this is a warning sign that something is out of balance, and let’s look at what’s unbalanced and let’s fix it’, rather than get a dental treatment. Blame the imbalance on bacteria, get a dental treatment and then pretend like everything is okay. If we did that, there would be an enormous opportunity for people to be healthier. JUSTIN: Right. Do you think there is a correct diet, because I know you went through a bit of a change in your dietary protocols over the years? Do you think there is a right diet for all people, or do you think that each culture could have an ancestral diet kind of a thing? Maasai or other groups that have a lot of dairy. They’re huge, everyone is well over 6′ tall. Even people in Germany are quite large compared to people in other countries, because they eat so much dairy. So, they have a lot of calcium and over generations their bodies adapt to a high calcium diet and they get bigger bones. Whereas people in other countries that don’t have dairy products and have a low calcium diet, like groups in the Amazon rain forest or some Asian countries, the people will be really tiny. Their bodies have adapted to a low calcium diet so that their bones don’t get as big. JUSTIN: That’s interesting. A few years back I was reading The China Study, back when I was eating more raw vegan style, and that was mentioning something about the five countries that have consume the largest amounts of milk, am not sure if they made a distinction in that book about raw milk or grass fed milk and that kind of stuff, but he said that the countries that had the highest consumption of milk also have the highest incidents of osteoporosis. Do you think he was making an error there, or didn’t make a distinction? What do you think was going on with people that say that kind of stuff? RAMIEL: It’s hard to say, because osteoporosis happens because of the calcium phosphorus metabolism gets out of balance. It could be trace minerals or more simply, it could be just not having enough calcium. And yes, when you asked the previous question, is there a diet that’s right for everyone? There is a general answer, a diet where the food is grown and processed with care, is a diet that’s healthy. And when you industrialize the food, industrialized flour or industrialized sugar and industrialized milk, it makes people sick. So, if there is a higher rate of osteoporosis in dairy consuming countries, it is because of the industrialized milk. JUSTIN: It’s fascinating. What were you saying about the calcium. phosphorus and what was the other thing that had to be in balance? RAMIEL: I said trace minerals. Tooth decay and gum disease on a biochemical level are an imbalance of your blood level of calcium and phosphorus. And that can happen for several reasons. The simple reason and the simple solution, that I present in Cure Tooth Decay book, which is we don’t get enough. We don’t get enough calcium. We don’t get enough phosphorus. We don’t have the vitamin activators that let our bodies utilize those minerals. That’s the simple way to go for now, although I’m researching into sort of being a little more specific on how people can get their body into balance. Most diseases, if you analyse the person’s blood, you will see that they’re out of balance with calcium and phosphorus, so osteoporosis, arthritis, heart disease and a mineral imbalnce in the blood is a symptom of disease. So that’s why if a person goes to a dentist and they have a cavity or receding gums, their calcium and phosphorus is out of balance, and that’s a sign that their body’s chemistry is out of balance and their glands aren’t functioning properly and their hormones aren’t working correctly. The body is not functioning. What throws off that metabolism, what makes calcium and phosphorus out of balance in your blood, the main thing is sugar. When you eat sugar, your body will release calcium usually, but it could also release phosphorus to create, sugar actually pulls calcium out of your bones, so it gives your body a feeling of enough calcium in the blood. People’s sugar addictions might be related to not having enough calcium in their diet. JUSTIN: I was going to ask you too about why people don’t have enough calcium. Let’s say they are eating food that has calcium and phosphorus in it, I was going to ask you about the relation for people to be able to absorb, you know they have damaged their body so much, they’re not able to absorb minerals. I guess that could be a factor as well. RAMIEL: Yes, when you get to that point, and I’ll be specific. When people’s bodies are damaged, I’ll specifically focus on the liver. The liver is the ruler of digestion. JUSTIN: I thought it was the colon and the stomach. RAMIEL: You know, you can aim for those, there’s the whole gut and psychology thing that focuses on the colon, but it’s really about the liver. If you help your colon out, your liver is going to get a little relief and will function better. And the liver is also controlling how much bile is in the gut and how much acidity is in the stomach. JUSTIN: So, if you go to the dentist and let’s say someone just goes there and the dentist says you’ve got two or three cavities here, I haven’t actually been to the dentist in quite a long time, do they want to do a filling right there or do they want to reschedule you? If they want to do a filling right there, in my mind, I would want to take at least some time to think about that. RAMIEL: Yes, unfortunately before even getting how do you deal with that, probably about half, although there’s not good data on this, most dentists will prescribe unnecessary treatment. So, if you haven’t been to the dentist in a while, and you went to a regular dentist, there’s a chance, 50%, that you would be prescribed treatment that you don’t even need. And, here’s the simple reason why. A lot of tiny cavities, they come and go, based on what you’re eating, because it takes frequent and consistent imbalance in your chemistry to produce those tiny holes and spots in your teeth. And sometimes people correct them, let’s say when someone drinks a lot of alcohol for a couple of weeks and then decides it’s a bad idea. Or, they drink a lot of soda for a couple of weeks and get little holes in their teeth and then the holes will stop and they’ll fill up. So, when you have these changes in the teeth, the dentist can’t tell, when they see a tiny hole, if that hole has been there for six months or for five years, they don’t know. The only way dentists can know is if you’re seeing them regularly and they have documentation. Then they can tell that there’s been a significant change. If you go to the dentist and just have little holes in your teeth, and if he pokes those holes and they’re not sticky, sometimes he won’t even poke the holes, they just take an x-ray and make a diagnosis from x-rays. I teach people in my book what the dentist should be doing. They should be looking at two signs that there’s a cavity, x-rays is one and that cavity should be confirmed with a probing, where they probe your tooth and the cavity will be a soft and sticky spot. Some people have tooth pain and sensitivity that isn’t directly a tooth cavity. This becomes very confusing as the dentist necessarily catch those and treatments fail for those are bad. JUSTIN: We have to take a quick break, but we’re with Ramiel Nagel from curetoothdecay.com and I highly suggest that you pick up this book. I have it and it’s really, really good. We’ll be right back with Ramiel Nagel after this break. Hey, what’s up everybody? I just wanted to talk to you a little bit about the Paleo Summit that’s put together by our man, Sean Crofton. This is a summit that took place live, over eight days, and I believe there are 23 video presentations, 23 audio files, 18 hours of cutting-edge information and 300 pages of transcript. This program is really an amazing program. If you’re looking to make some permanent changes in your diet, and if you’re tired of struggling with fat loss or weight loss and you’re struggling with food addictions and you’re just looking for a permanent solution, this is definitely something you want to check out. You can find it at extremehealthradio.com/paleosummit. They talk about things like gluten sensitivities, how to curb food addictions and cut back on food cravings, animal foods and things like cholesterol does not cause heart disease or degenerative diseases. And how to deal with things like bone loss, cancer, muscle pain, autoimmune disease and how to burn fat and all that kind of stuff. So, if you’re looking to change your diet, once and for all, definitely check that out. It’s at extremehealthradio.com/paleosummit. Now, let’s get back to this interview. 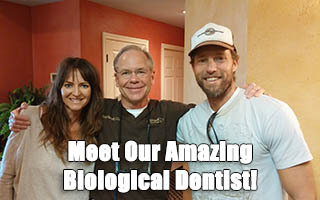 We’re with Ramiel Nagel, author and owner of curetoothdecay.com. Ramiel, I wanted to ask you, going back a few minutes to the sugar question, you said that cavities typically form from kind of a consistent elevation of sugar levels. Now, what kind of sugar are you talking about. Would that include things like fruit as well? RAMIEL: Absolutely. The more refined the sugar, the more toxic it is to the body. The worst sugar is high fructose corn syrup. That doesn’t necessarily cause blood sugar fluctuations, but it can cause liver damage and other blood fructose fluctuations. It just causes massive chaos in the body and that will alter the blood chemistry levels. Refined white sugar will cause big and prolonged fluctuations versus a very modest sweet fruit, like a carrot or something, will have much less stronger fluctuations and less minerals will be pulled from the bones. Of course, it depends what else is in your diet as well. So, nobody should actually eat sugar, and if you have a high calcium diet they might not have cavities. JUSTIN: I had Dr. Bob Marshall on the show recently and I heard him talking about that there is a level of phosphorus that once it gets to a certain level. I’m probably completely butchering this, but the phosphorus level, once it gets to a certain point, always triggers cavities. Now, is that true and am I stating that correctly? RAMIEL: That sounds about right. If the calcium or phosphorus get out of balance, then there will either be tooth cavities or oral gum disease. Or, if you have not enough. Are people eating enough? Just by the US Government’s minimum intake standards, 30% of the population doesn’t get enough calcium. The phosphorus is much higher. The thing is that they made the phosphorus standard really low. I use Weston Price’s indigenous vitamin nutrient analysis to make an estimate of how much calcium and phosphorus people need to be healthy. That definitely depends on your genetics. If you’re a big person, you’re going to need a lot more calcium, if you grew up having dairy products, you’re going to need a lot more calcium. If you’re from countries who grew up with no dairy products and your ancestors didn’t have dairy products, then you need a lot less calcium. JUSTIN: Wow, there’s so much to get to here regarding people’s teeth. I have to ask you about fluoride and I can’t let you go without talking about that. What are your thoughts on fluoride? I know you mention it extensively in your book, but for our listeners who haven’t read your book, what are you thoughts on fluoride? RAMIEL: There are two kinds of fluoride. There’s fluoride they put in the water and then there’s fluoride they put on the teeth. The fluoride in the water, there is no evidence that that does anything at all to your teeth. I mean it messes them up, but there is no evidence that it’s going to stop cavities. In a small percentage of people who are exposed to fluorinated water, they get fluoride dental damage, which is dental fluorosis and their teeth are damaged by the fluoride. There are many studies that show that it’s poisonous. Dr. Dean Burk, someone put this on u-tube, it was amazing to actually see this. He was director of the National Cancer Institute and a researcher there, and what he did is that he studied cities in the United States where they had fluoridated and then he looked at their cancer rate. In every city, you could correlate the cancer rate rising with the addition of fluoride. We’re giving people cancer and promoting cancer with adding fluoride to the water. There is no doubt, it’s very clear. JUSTIN: It’s also in toothpaste as well. Is it in any other products? RAMIEL: It’s in a lot of products. I think Prozac is made out of it. JUSTIN: Do you really think, I’ve heard a lot of people talk about the fluoride thing and they say that they’re purposely trying to do this to us and things like that. Do you really think it’s a serious thing that they’re actively and consciously doing? Is that the case, or do you think it’s more a way to get rid of a toxic chemical that they know is toxic, but they have now way of getting rid of it? RAMIEL: It’s hard to know what is going on, but we can just look at the facts that it’s really poisonous and it’s wrong that it’s been put in the water supply and it doesn’t stop cavities. We know all those facts and from that you can make conclusions. Now, the City Councils and Legislatures will still vote to put fluoride in the water, as they think it’s good. There is also a lot of ignorance. Someone absolutely had a plan to put this stuff in our water, otherwise it wouldn’t be in there. It wasn’t an accidental plan. JUSTIN: I just want to ask you, on a personal level, do you go to the dentist often, or what’s your personal approach to going to the dentist? RAMIEL: I also invent a water functional dental appliance on the top and bottom to repair the damage, I just put out an article on this, caused by conventional orthodontics. It’s profound, how many faces are getting messed up, how much stress is being put on children’s bodies by braces. Sight is the natural growth patterns of the body. That’s why I have this appliance and I go and see the dentist every three weeks to get my appliance adjusted. He doesn’t poke around my teeth to look for cavities, because it’s not his specialty. His profit is from dental appliances and he doesn’t do any drilling at all. So, I get really honest opinions from him. Occasionally I will go for a teeth cleaning every couple of years. Otherwise, I don’t see a dentist, because what’s my point? What am I going to get? All this perspective kind of got affirmed when I met a dentist who is in charge of a large health insurance program. He investigates dental fraud. He has been in the dental field for like 30-40 years and he went to dental school and everything. She won’t go to any dentist, except for one that he trained. JUSTIN: Is he like a biological dentist or something like that? RAMIEL: He’s not a biological dentist, he’s just a regular dentist. JUSTIN: That’s crazy. Back to what you were talking about before, the braces and retainers and things like that in children’s mouths, are pretty damaging, aren’t they? RAMIEL: They’re very damaging, not all of them, but the conventional and assembly line orthodontics where the kid’s teeth are crooked and they just slap the wires on there and tighten and force the teeth to come together, are really damaging. The same with the head gear. JUSTIN: Not to mention what those things are made of, what kind of low quality and cheap metals are they made from? RAMIEL: They’re stainless steel but probably have nickel in them. There is some low nikolite, I forget what it’s called. They definitely effect people. I think the metals in the crowns and root canals, or even mercury fillings in children, are a lot more dangerous. What they do so that the jaw is expanding in all directions with the normal growth of the child. If the child’s jaw is not big enough, they’re going to put these braces on them and force the teeth into an unnatural position, rather than expanding the jaw with a wire or an appliance. JUSTIN: That’s what you have, right? RAMIEL: That’s what I have now and doing it as an adult it’s miserable and takes forever. I had braces when I was 8. If I had had one of these appliances, it would have been magic and my whole life would have been different. JUSTIN: Speaking of the width of the jaw and things like that, are we supposed to have more space between our teeth than we do than we do? RAMIEL: It’s not really more space between the teeth, although if children who have really good jaw development, but the width of the jaw, there’s the length, there’s the front and back dimensions and how far the upper and lower bones, that hold the teeth, come forward. There’s the width, the length and the height. There’s three teeth I mentioned in the jaw formation and the more strong the diet is, the bigger the jaw bone, the mandible and the more growth there is in the maxilla, the upper plate. So, when a child gets the adult teeth, if they have full development they will have huge spaces between their teeth before the adult teeth come in, because they have so much space. An adult human is not supposed to have spaces between their teeth, but they are supposed to have enough room for their wisdom teeth. JUSTIN: I was going to ask you about that. I’ve had all four of mine taken out and I was going to ask you. It just doesn’t seem, it’s just so far from what we’re supposed to be doing, the level of our health as a culture, the way we have to extract these wisdom teeth. If you really think about it, it just seems crazy. RAMIEL: Yes, even by the conventional dentist’s standards, I put a report on this out, a lot of wisdom teeth are removed unnecessarily, millions per year and removed for the wrong medical reasons. That doesn’t take into consideration that you can take a span and create more space in the jaw to keep the wisdom teeth usually. Yes, it makes a huge difference, especially as we get older, we need those back sets of teeth to break our food down more, so that our digestion is put more at ease. JUSTIN: I think of it and I think like, here we are as a culture, removing people’s tonsils, removing peoples appendix’s and removing people’s wisdom teeth. These things aren’t just throw away organs that we put in our bodies and they are there for a reason. It just makes no sense to me, without any real thought of alternative ways to deal with certain symptoms, just to remove these organs. In my opinion, I think it’s just ludicrous. RAMIEL: It is and it’s based on the concept of disease, where disease attacks the innocent victim, and that the cure for disease is to remove the disease entity from the person, so the tonsils, appendix or whatever is seen as the diseased part of a person that has to be removed, like that part has died and is separate from the rest of the individual. JUSTIN: We’ve been talking about, obviously our teeth and oral care, but I really want to bring home to our listeners the connection that the teeth have to the entire body. I know you talk about this in your book. Each tooth, I believe, corresponds to different organs, meridian points and things like that. The Chinese and Germans have done lots of studies on that and brought that to the light. But let’s talk a little bit about why people should care. I have people in my life, who I know, who just don’t really care about their teeth. It’s more than just having a nice white smile, right? RAMIEL: It’s a good question why people don’t care, as I think they don’t care until they start getting too many drillings and fillings at the dentist, or their teeth start hurting and they don’t know what to do about it. Until then, they just think everything is fine. It’s hard to tell people why they should care, but I think what I’m offering to people as preventative dentistry is far more caring that just getting synthetic materials put into their teeth as a treatment. It’s up to the individual to want to take care of themselves. JUSTIN: What do you make of these things people get, like the Invisalign, I know this is kind of a different product, but things that they put on there to whiten their teeth and all that stuff? What do you make of all that stuff? RAMIEL: The Invisalign is basically braces, kind of with a plastic like retainer splint device. Some people I have talked to have said that the case studies don’t look good on the Invisalign. A lot of those things, even braces, aren’t necessarily bad if you have a good practitioner who understands where the body needs to be. With the Invisalign, you have to use it with real care, and you have to make sure that the practitioners like what they’re doing. A lot of times it’s done where people aren’t the right candidates. I don’t know how much you can move teeth. It’s kind of a thing you just must be aware of, but it might benefit some people, I don’t know. The thing people don’t know about teeth whitening is that it doesn’t last and the more you whiten your teeth, the more they need whitening. RAMIEL: Yes, it kind of wears off and then you kind of sling shot in the other direction. And of course, it’s chemicals which are very toxic to the teeth. I kind of think that any chemical treatment in our mouth is like spraying pesticides in our garden. It works, it will kill the weeds or whatever and make things look nice, but you just poison everything. It’s poisoning the mouth and it would be interesting to look if there is a relationship between teeth whitening and teeth loss. I recommend that people be really careful with teeth whitening. There is a kind of teeth whitening that is less bad, that you can do at home, or from dentists. I don’t encourage people to do it, and I forget what it’s called. But, if you go to a holistic dentist, they probably will have less toxic teeth whitening. There is a way to do it that I found is non-toxic, and the simple way to whiten teeth is to use a little baking soda and rub it on the teeth. JUSTIN: Yes, that’s what I do. I brush with baking soda and salt. When we come back, I want to ask you about some things like root canals, mercury and things like that and some of the heavier issues that people are having with their teeth. We’ll be right back with Ramiel Nagel. KATE: Hi, this is Kate and thanks so much for listening to the show. I want to tell you about a product I really love called ‘Yeast Infection No More’ and you can find it at extremehealthradio.com/yeast. If you’re like me, and have ever had a yeast problem, candida overgrowth and have had many of the following symptoms, like digestive disorders, gas, bloating, skin rashes, allergies, migraines or PMS, this is a great system. It will teach you how to permanently cure your yeast infection, rebalance your body, boost your immune system, regain back your life basically. It has been successfully used by thousands of men and women worldwide. It’s best selling, instantly downloadable, 250 pages of jam packed advice and instruction, backed by over 35,000 hours of intense research. It is also accompanied by free private mail counseling for over three months if you buy the product. What are you not to love about it? Find it at extremehealthradio.com/yeast. which I highly suggest you check out. Also, get his book, as it’s really, really and important book to have as reference and to read, as well as to really understand and learn about the role of your teeth with your overall health. So, check it out. Ramiel, I wanted to ask you about root canals. I have one and actually got it done, before I knew anything about health and teeth, down in Mexico, because it was 90% cheaper. God only know what I have going on in that root canal. I have a plan to go to a biological dentist in Texas. Talk a little bit about root canals and why they’re so dangerous for people. RAMIEL: Well, the biggest thing with root canals today is that most of them are not necessary. They are not necessary by the conventional perspective of inflammation and the teeth hurt. The root canal wasn’t meant for that kind of procedure. The root canal was designed as a life-saving procedure for that tooth. That tooth was going to need to be extracted as there was no other treatment left and maybe a root canal would save the tooth. That was the idea, and that’s not necessarily a bad idea. But now, everything’s a root canal or a crown, as it’s the most profitable per hour procedures, not because people need them. JUSTIN: And extremely damaging, because you’re basically embalming a tooth that’s trying to die. Is that what’s going on? RAMIEL: The tooth isn’t trying to die, even. If the tooth hurts, that means the nerve is inflamed. Sometimes people will be recommended to get root canals on teeth that don’t even hurt, but there is an abscess in the gum, which may or may not even related to that particular tooth. So, when the nerve is inflamed, theory goes that there is bacteria that’s infected your teeth. The industry of dentistry has to have a theory to promote them doing these procedures, that aren’t necessarily what people want, and that theory is that there’s this bacteria that invades your body and can’t get rid of them. So, the dentist has to come in and try to get rid of this bacteria that is causing your teeth to hurt, by their perspective, so they remove the inside of the tooth, drill a hole in the top of the tooth, take out the guts of the tooth, the blood, the bone building cells and the nerve. They take that out and try to sterilize it and then they fill it with a synthetic material, such as a gutta percha. They then put a crown or a cap on top of the tooth and then you have a half dead tooth in your mouth. What happens is, the problem with root canals is that each tooth has three miles of microscopic tubes and in those tubes there are nutrients. There’s food, there’s cells and that material in the tubes of the tooth when you kill off the nerve, putrifies. It’s like rotten vegetables in your refrigerator. You can get rotten gunk in your teeth and then, if there’s not a perfect seal on the inside of the gutta percha on the inside of the tooth, then that putrified material can start leaking and it goes right into your blood stream and right to your heart. So, there’s all these tomographies where they can correlate breast cancer, or maybe heart disease, with a root canal. JUSTIN: Yes, I’ve heard of that. I think there’s a Dr. Bob Dowling and he says that just about all cancers are a correlation to your teeth, which is pretty fascinating. If someone has a root canal, like I have, what are some of the first steps we should think about considering, as far as what to do with a root canal. RAMIEL: That’s where there are a lot of different opinions. I recommend the minimal invasive perspective. So, you can leave it. Almost all root canals are toxic, so the question is, are you okay with that toxic burn. Do you have a significant illness or health problems that might be improved. If you don’t have any significant health problems, then keeping the root canal is probably a good idea. You can get them redone with a more, there’s a Biocalex, I think that’s what it’s called now. Biocalex is a more organic material that they use for root canals and a dentist can seal it up. Some dentists recommend that you could shoot the tooth with different lasers to stimulate it. You can put herbs around that tooth and kind of baby the tooth and keep an eye on it. You can do the oil pulling and just take care of it, because people who get their teeth pulled, they don’t like not having that tooth there. So, having a biting surface is so important and you want to do what you can to keep the biting surface. I wouldn’t recommend just pulling a root canal unless there was a serious illness that you could be verify was being contributed to by the root canal. JUSTIN: What do you think about, if you’re getting more advanced in age. and you’re in your 60s and 70s, at that time the burden of toxins and bacteria versus your immune system, you know, your immune system slowly starts to diminish as you get older. You may not have an issue with your immune system now, if you’re young and in your 20s and 30s, but if you keep that root canal in, would that be a burden do you think, more of a burden than your body can handle at age 70 as opposed to when you’re 30. RAMIEL: Weston Price studied people who had root canals and the root canals today are much more precise than in Weston Price’s time. This was in the teens or the twenties, but he studied the root canals. He found that 25% of root canals followed patients to their dust. There was no observable symptoms for 25% of the people. So, some people ‘yes’, they need to have them removed at some point, and some people can handle it. JUSTIN: Removing a tooth, right now there’s no real, I’ve heard that they’re working on regrowing a tooth from pulp and things like that, but removing a tooth is a huge deal. Once it’s gone, it’s basically gone. JUSTIN: So, if you remove a tooth, let’s say you have a root canal and you get it removed, I know there’s options for what to put in place of it, but does that effect the energy systems in the body and how your teeth correlates to organs. Does that screw up that kind of energy perspective on the body? RAMIEL: It definitely influences it by having composites or having a filling or having a root canal and it does effect the meridian of the tooth and it does effect the related organs. Pulling a tooth would also effect that meridian in a different way. There is not an easy solution and it’s like you have to chose from an array of not so good choices. JUSTIN: Right, and how much easier is it to just take care of your teeth? You know, like preventative dentistry, like what you’re teaching people. RAMIEL: The best thing to do is not get a root canal. There is an exciting article that I’m working on like how Weston Price recommended that people not get root canals and say, we don’t need to be doing root canals anymore, because we can prevent the problem. We shouldn’t have to do anymore root canals so it’s not going to be an issue. JUSTIN: As far as your diet is, on a daily basis, what kinds of foods to you eat? First of all, what are some of the foods people should avoid and what are some of the top foods that people should eat? RAMIEL: Packaged food is a simple way to describe what people should avoid. It doesn’t matter if they are organic or not, it’s the industrialization of the food that makes us sick. It’s not necessarily the ingredients, like milk or wheat. JUSTIN: What do you mean by industrialization? RAMIEL: Industrialization is when food went from home production to factory production. So, when the dairy went from getting it from a farm in your neighborhood, when the cows were on grass, to being confined in stalls and being fed all kinds of antibiotics and grains and not natural food. So, wheat that is being ground up in these high tech mills and preserved with different chemicals, and how the bread is made, there are so many things that turn the food that used to be healthy, into food that is no longer healthy and is grown with pesticides. So, store bought whole grain products, like crackers and breads are bad for teeth. Any concentrated sugar products are really bad for teeth, specifically synthetic sugar, high fructose corn syrup, agave or any sweetener you’ve never heard of. JUSTIN: What are some foods that you think would really help people’s teeth? RAMIEL: Raw dairy products, raw milk, kefir, cheese, raw grass fed cheese from healthy animals, which is probably the #1 food, grass fed butter, between a teaspoon and a tablespoon a day is good for people, and cod liver oil, fermented cod liver oil, fermented cod liver oil by Green Pastures. The #1 thing anyone can do to reduce the rate of cavities, immediately, at least 40%, is to have a teaspoon or more per day, fermented cod liver oil. One teaspoon is just an estimate, as people have to pick a dosage that’s accurate to their particular needs. JUSTIN: And maybe their size. So, that is from what website? RAMIEL: You can get it from oliveoilshop.com and you can get it from greenpasture.org. JUSTIN: Is that the same thing as the high vitamin butter oil? Is that the same or different? RAMIEL: High vitamin butter oil is also made by Green Pastures. It’s a grass fed butter that is supposed to be from the spring and summer time, where they use grazing practices and give their cows cod liver oil. So their butter is really high on vitamin-D and there is what Weston Price calls the activator-x. It’s a substance that helps your body utilize the calcium and phosphorus. The Green Pastures butter oil is an excellent product and they sold out of it and don’t have any in stock right now. Hopefully, they’ll figure that out, but that stuff is amazing for making your teeth hard and you can just take a little bit. JUSTIN: Okay, so are those the main kind of foods that you’re talking about, the raw butters, cod liver oil, the raw milk, and the raw cheese from grass fed animals? Are there any other supplements maybe, or whole foods that you would recommend? RAMIEL: There are many levels of what people can do to their diet to make their bodies healthy. A new insight I’ve had is to have a little bit of kelp powder, 1/8 teaspoon a day approximately, and use it as you feel like you need it. It’s really good for balancing the glands in the body and helping with the calcium and phosphorus balance. Broth from soup is really good, a bone broth. Fish stock is the best. JUSTIN: What is that, fish stock? RAMIEL: Fish stock, yes. If you make a broth from fish bones, it’s like magic. JUSTIN: So, that has more of the cartilage and things like that? RAMIEL: It doesn’t have more of the cartilage, it’s just that the sea is so rich in minerals, so seafoods are really good for minerals. They are sort of cartilage grease, and you can get that from ‘b’ for buffalo. All those things are good and I would say they’re different. The cartilage grease stuff is really helpful for bones and joints. JUSTIN: Wow. I know we’re wrapping up here, but we have a few more minutes. I want to make sure we cover this before we go. As far as daily tooth care. You have something that you talk about called blotting and that’s to help get rid of bacteria. Right now, I brush with baking soda, sea salt and sometimes a little bit of hydrogen peroxide, like a drop, I forgot what the percentage is, 30% or something. What do you think of that and what are some ways that people can take care of their teeth in a better fashion? RAMIEL: In my book, I recommend a couple of options, including a home-made tooth powder formula, which is as simple as what you’re using, sea salt and soda. That’s good for most people, even just sea salt. I like to use herbal tooth powder and the place I get it from is holisticdentalstore.com and that’s just what feels the best to me. I avoid the store bought teeth products mostly. I have been playing around with baking soda and I don’t think it’s good to use too much, because it’s abrasive. There is an alkalizing effect, which is fine, but it does rub down your enamel. JUSTIN: I just put a little tiny bit in some warm water and swish it around after I have a piece of fruit or something, to kind of change the alkalinity of the mouth. Is that a good way to use it without having the abrasiveness and maybe get some alkalinity? What do you think about that? RAMIEL: I think that would work. A little bit of abrasiveness is okay. Toothpaste was originally made so that people could clean the gunk off their teeth and polish them, like polishing a shoe or waxing your floor or something. That’s what toothpaste is for, it wasn’t for preventing cavities. So, think of that when you’re cleaning your teeth with something that should be really mild and gentle for your teeth. Yes, if you don’t use a lot of baking soda, that’s very gentle. If you’ve been using baking soda and love it, keep using it, as that’s what works for you. Sea salt is really nice. Some people like to use salt. It’s not abrasive. I like to use the herbal stuff, because it’s medicinal and has nutrients in it and it’s also not very abrasive. JUSTIN: There is just so much to get to. Where do you see your work heading? Are you working on some new things, or writing some more books? What direction are you headed in? RAMIEL: There’s the struggle of how to get the information out to more people. I’m selling a decent amount of books right now, but I would like to sell about double what I’m doing, so that I can help more people. I’m writing a book on how to cure gum disease. Then, what I’m focusing on is traditional grain preparation. I know a lot of people are scared of grains and avoid them, but grains, in some cultures, were considered medicinal. So, I want to make and actually manufacture and provide people with medicinal grains, where they can eat it and feel amazing and get some nutrient rich carbs in their diet, that our ancestors from different parts of the world have eaten for thousands of years. So, that’s an exciting project I’m working on, and it’s just going to be I think paradigm shifting, because a lot of people have it wrong on grains. When they do prepare them, it’s almost always incorrectly, so I’m going to clear the air on what’s correct and what’s healthy and provide people with food that they have never experienced before. JUSTIN: It’s amazing, there’s the paleo side and then there’s the raw food side and we all demonize certain portions of food. That sounds interesting. Is that a book you’re writing? RAMIEL: I don’t know exactly what it’s going to be. I’m writing articles and I’m also going to get into the production and manufacturing of food. It will be high standard, that people haven’t been able to get in the store before or order online. JUSTIN: That will be great. Would you mind holding on while I close out the show? RAMIEL: Yes, I’ll stay on. JUSTIN: Thank you Ramiel for spending some time with us, I appreciate it. JUSTIN: Okay, thank you so much everybody for joining us today. I hope you were able to learn a lot of good information. There’s so much we didn’t even get into and I could speak with Ramiel for a long time. Hopefully, we’ll have him back on and he’ll talk some more about some of the issues that we didn’t cover today. 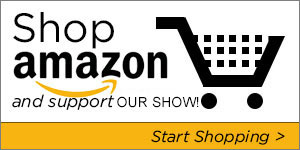 If you enjoyed the show, could you do me a favor and click the ‘like’ button on this show page. 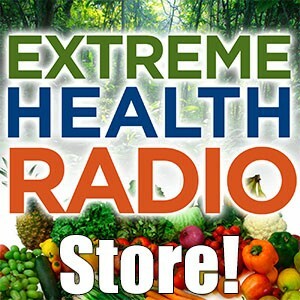 It’s extremehealthradio.com/22 and I would really appreciate that, to get the word out to more people. We’re also 100% listener supported, so if you feel you’d like to donate, you can donate as little as $1 and we would really appreciate anything you might consider giving. Also, don’t forget to check out our store. We have lots of great products in our store, like Ramiel’s book and other books like that. So, visit our store for lots of really, really good products, and thank you so much for listening. We will catch you on the next episode.